Travel Kit in Black - Giveaway (CLOSED) | Sahrish Adeel - Malaysia based Pakistani Beauty & Lifestyle Blogger! Here comes another cool giveaway for the ladies out there. 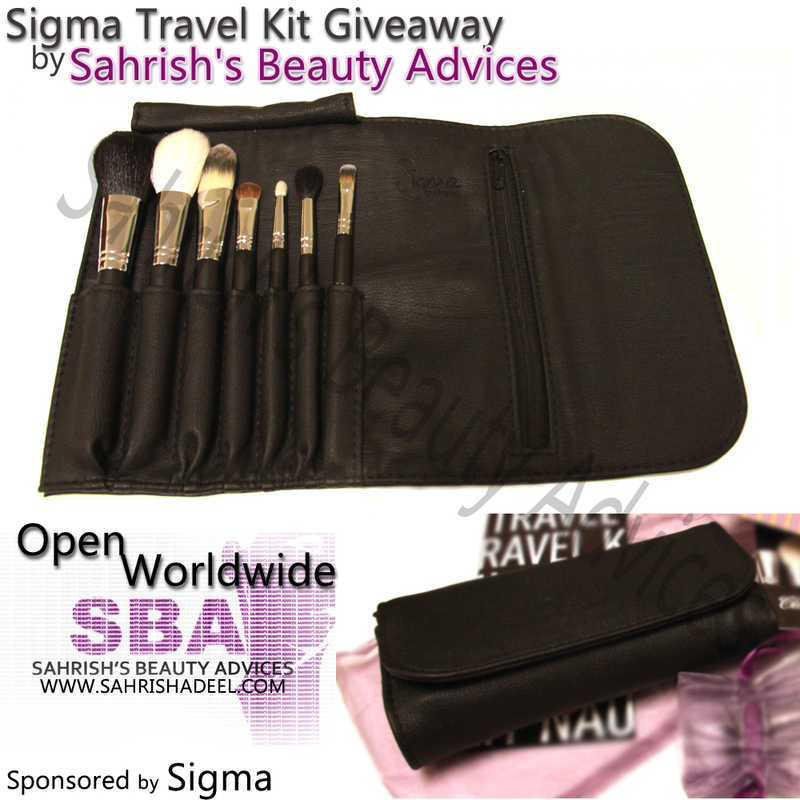 I have been sponsored by Sigma to host this giveaway for Travel Kit in Black! Just follow my blog through G.F.C, publicly! Fill the following form Only ONCE. If you want to have more than one entry, fill this form AFTER you have made all the entries you want. The giveaway will end on 15th of September, 2011. The winner will be chosen via Random.org and will be announced after 15th of September. There will be only one winner. Winner will be announced on my Blog and will be informed via email. If the winner will not contact me within 48 hours of the announcement, I will choose a new winner. Click HERE to know more about this Travel Kit.